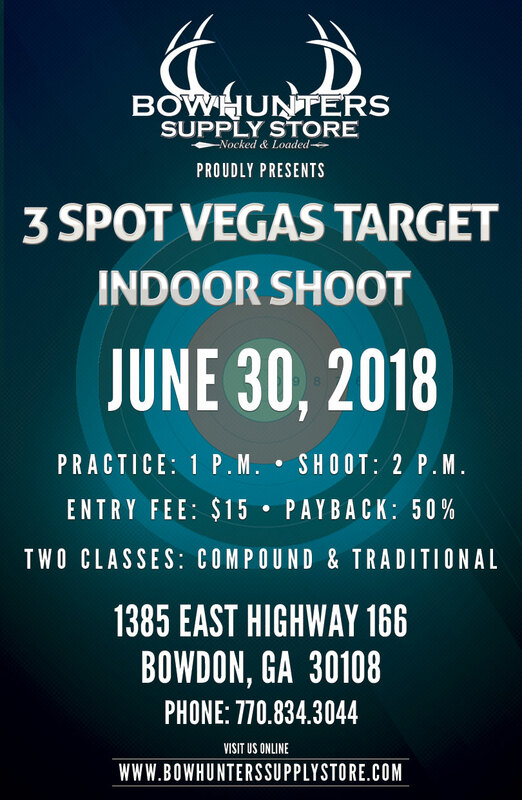 Our next 3 Spot Vegas Target Indoor Shoot will be on Saturday, June 30. 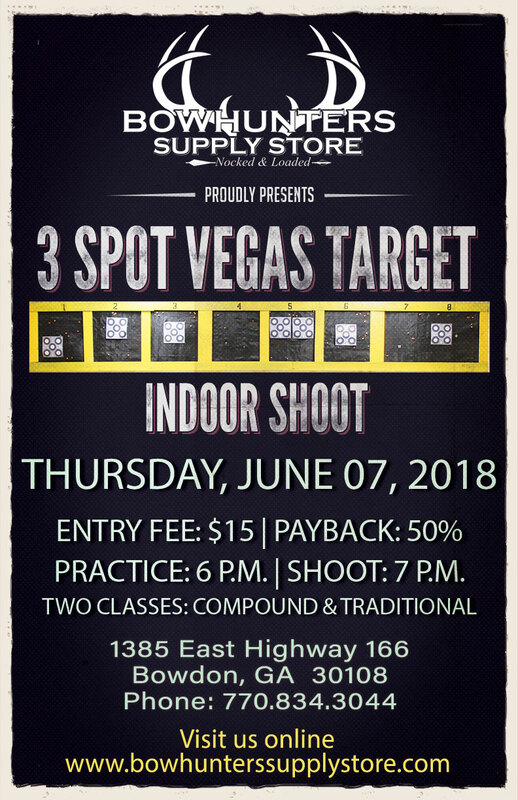 Practice starts at 1 p.m. and the shoot will begin at 2 p.m.
You are all invited out for our 3 Spot Vegas Target Indoor Shoot this Thursday, June 21. 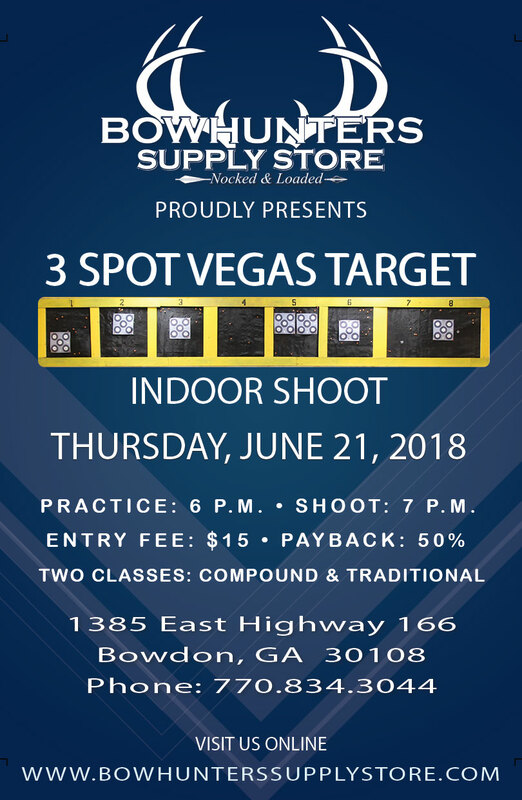 Practice starts at 6 p.m. and the shoot will begin at 7 p.m.
Don’t miss our In-Store Father’s Day Sale this Friday & Saturday, June 15 & 16. Tell ’em Hank sent you! 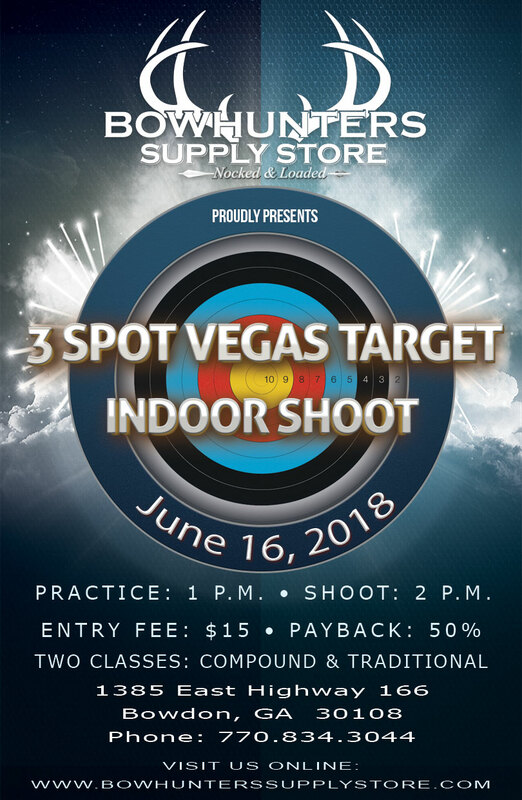 Our next 3 Spot Vegas Target Indoor Shoot will be on Saturday, June 16. Practice starts at 1 p.m. and the shoot will begin at 2 p.m.